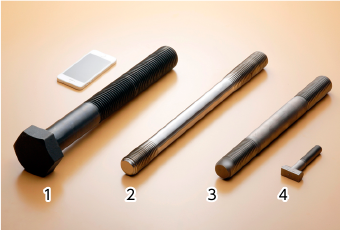 Originated as a long standing bolt manufacturer of Coal-mining equipment, we produce several types of important fastening products, not only for rails, but also for Bullet train, large excavators, bridges, dams, skyscrapers, tunnels and wind power plants. Our high-quality large-diameter bolts for infrastructure are required not only in the domestic market but also in overseas markets. 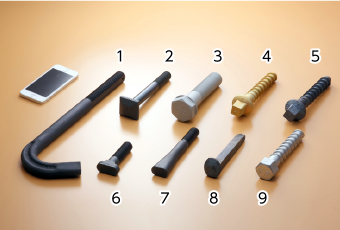 Rail fastening bolt, Screw spike for rails, TN hook bolt, Fish plate bolt, Dog spike and others. 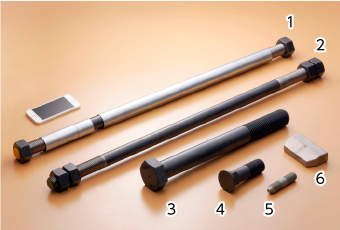 Anchor bolt, stud bolt, bolt for tower crane, tunnel fitting parts, etc. 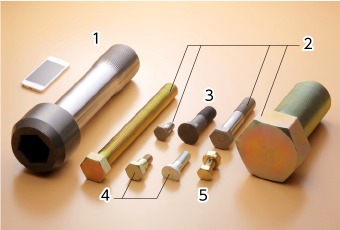 Hexagon socket head bolt, Hexagon head bolt, Train motor fixation bolt, NU bolt, etc..